On Tuesday, Starbucks announced the launch of a new “Sunset Menu,” which is only served after 3 p.m. On the menu are two items that take Starbucks’ creation of sugary sweet beverages to the limit. From a business angle, it’s a smart move for the coffee chain. 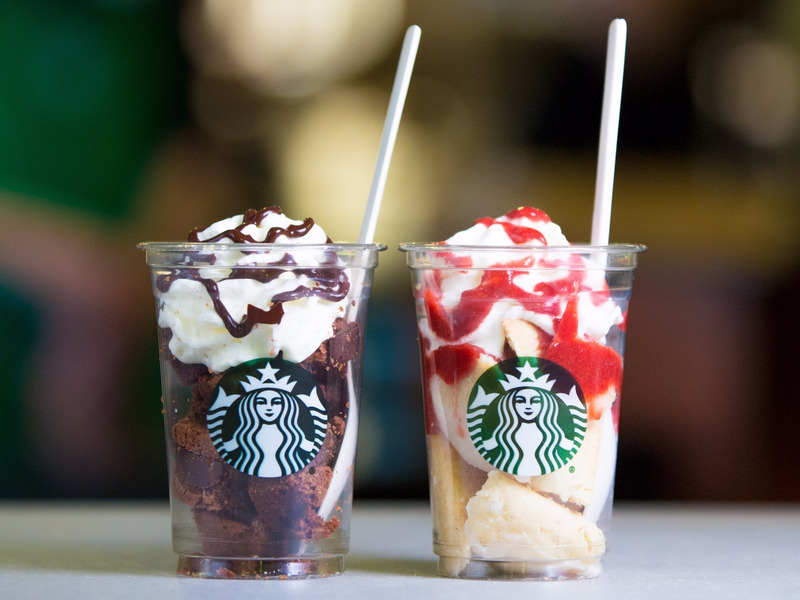 It takes items already in Starbucks’ arsenal (brownies, scones, whipped cream) and combines them in a mind-blowing, semi-absurd sundae. And, while a cup full of brownie topped with whipped cream may seem like a step past dessert into sheer, sugary insanity, if you’re craving something sweet you’d actually be better served (at least, in terms of calories) ordering the Chocolate Brownie Trifle than some of Starbucks’ other menu items. The chocolate-packed trifle has 450 calories, 30 grams of fat, and 31 grams of sugar. Meanwhile, a grande S’mores Frappuccino has 460 calories and 57 grams of sugar. The Sunset Menu also features lighter, and but similarly Instagram-worthy, with three Granitas, made with shaved ice plus tea, espresso, or limeade. Flavours include Teavana Youthberry White Tea, Caramel Espresso, and Strawberry Lemon Limeade. The new Sunset Menu is part of an ongoing effort to bring more customers to Starbucks in the late afternoon and evening. 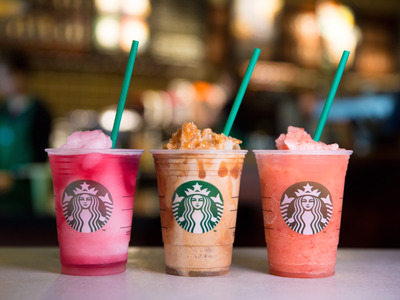 Other promotions have included May’s Frappuccino happy hour, when Frappuccinos were sold for half of their usual prices from 3 to 5 p.m.